The Law Office of Robert S. Hoffman P.L.L.C. 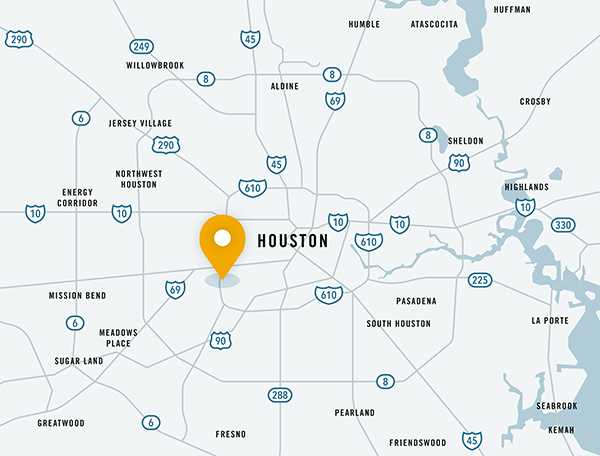 is one of the most respected family law firms in Houston. The firm, which recently celebrated its tenth anniversary in business, is known for highly skilled and experienced attorneys, professionalism, trustworthiness, and a long history of successful negotiation and litigation on behalf of clients. Our attorneys pride themselves on personal attentiveness to each client. The firm is acclaimed for a rare expertise in the complex division of property and, at the same time, a unique sensitivity and understanding in dealing with child custody issues. Disclaimer: Image does not depict actual lawyer or client. We are well aware that divorce is often one of the most difficult and challenging experiences in an individual’s life. We want to ease your worries and support you every step of the way. Without question, child custody is the most critical and consequential area of any divorce case in which children are involved. Although our firm is well-known for dealing effectively with complex property division, we are perhaps even better known for dealing effectively and sensitively with child custody disputes. There are good reasons why many couples should consider prenuptial agreements, even if vast estates are not involved. A soundly designed prenuptial agreement can offer stability and protection to both parties in a marriage. There are a number of reasons why you may decide you need to revise a prenuptial agreement or to create a postnuptial or marital property agreement, if there was no premarital agreement. The fact that you might be considering divorce is only one possible reason. In a custody/support case involving parents who are not married to each other, parentage must be established. Your lawyer will assist you with every stage and aspect of the process and will help you arrive at a resolution guided by your goals and interests. Attorneys at the Law Office of Robert Hoffman are highly experienced at dealing with the many matters that may need to be addressed after the trial has ended. An experienced attorney who has command of all the nuances of the law and really takes the time to understand your story and your case in its entirety represents your best hope at improving your situation. Helpful resources to assist you in making informed decisions. The Law Office of Robert S. Hoffman has been recognized by numerous organizations for its excellence in the practice of family law.